The adidas Dream Mile and 100 fields are nearly filled. With two weeks to go, who do you think deserves an invitation? VOTE! Poll closes tonight at midnight! 11 girls have been confirmed for the adidas Dream Mile, only an auto qualifier at Golden South Classic this weekend, and 2 more invites left! 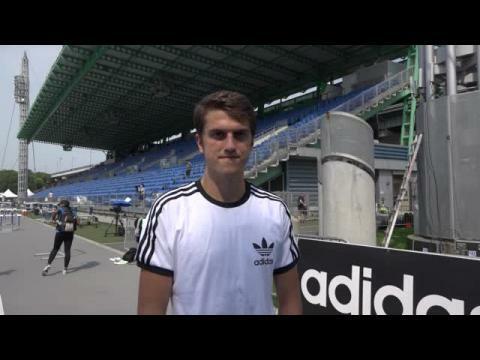 The top prospects for the 2015 adidas Dream Boys 100, part of the IAAF Diamond League series. 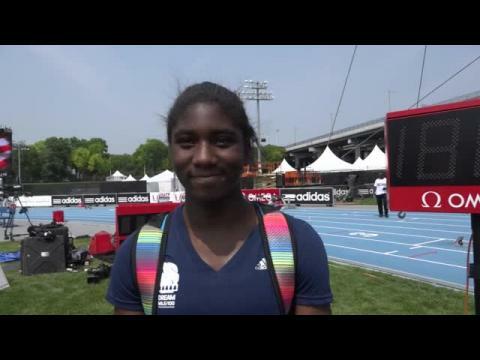 The top prospects for the 2015 adidas Dream Girls 100, part of the IAAF Diamond League series. 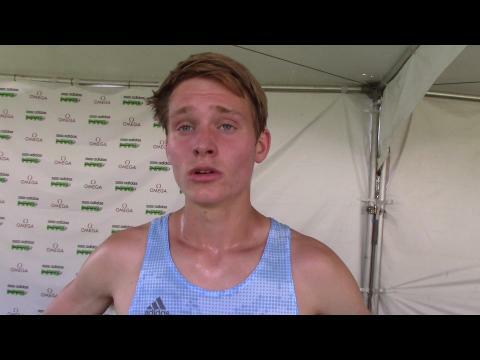 Race video of the 2015 adidas Dream boys mile . 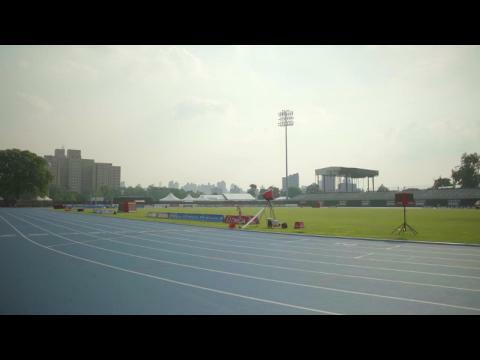 Check out the latest update of auto qualified or invited athletes for the 2015 adidas Dream Mile and 100 meter races set for June 13th at Icahn Stadium in NYC! 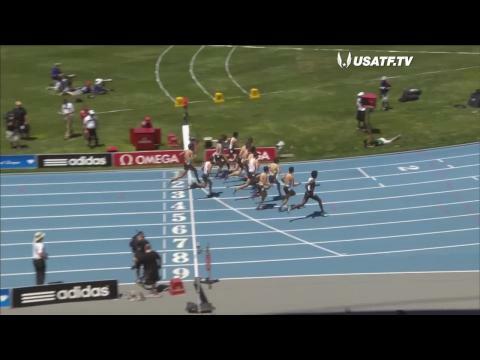 High quality version of the adidas Boys Dream mile race won by Grant Fisher in 4:01.74. 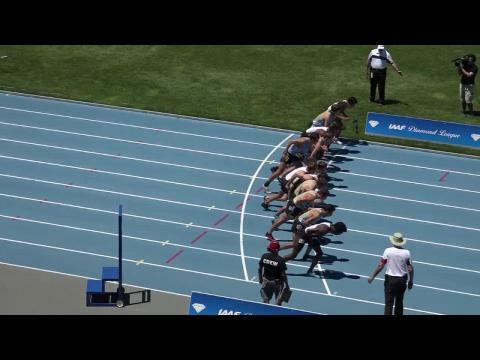 Footage courtesy of NBC/USATF. 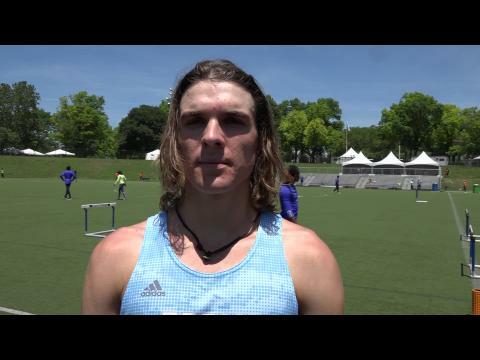 The final fields are set for Saturday's adidas Dream high school mile and 100 meter races. Check out which athletes have made the cut to be included in this year's exclusive and elite races! The adidas Grand Prix will be moving from Randall's Island in NYC and will now become a "street meet." 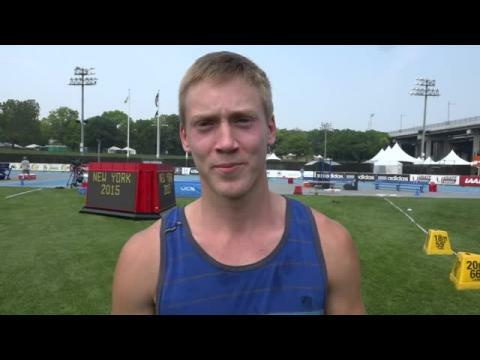 Highlights from the 2015 adidas Dream Mile and 100 meter races in New York City. Fisher repeats, Aragon times her kick right, Hill breaks through the wind, and Norman shows he can run the 100. 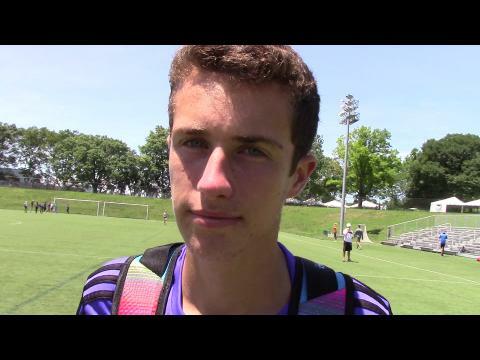 Jack Salisbury (RI) has been added to the adidas boys mile field! One spot remains in the girls mile and 100, one in the boys mile, and one in the boys 100. Who else will seal their invites this weekend? With the adidas Grand Prix only a few short days away, MileSplit wants to know who you the fans think will come on top in these Dream mile and 100 meter races on Saturday in New York City! VOTE by Saturday! 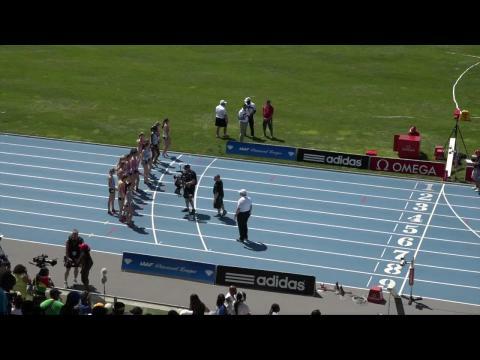 Race video of the 2015 adidas Dream Girls Mile. Austin Tamagno might be the nation's best miler for 2016, but why wait until his senior year to be the nation's best miler? 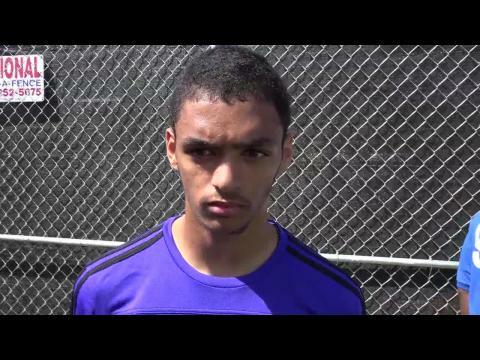 Sub 4 is own this junior from Cali's mind. NOW. 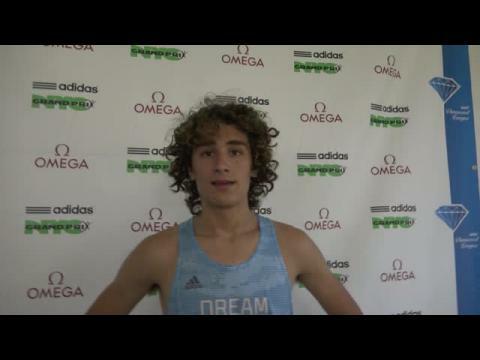 Austin Tamagno aims to break 4-minutes at this year's Dream Mile. 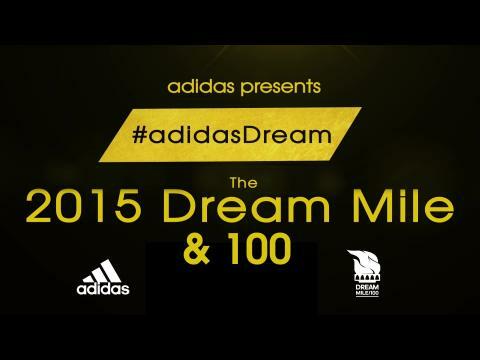 Race video of the 2015 adidas boys Dream 100. The Billings, MT junior kicked down Pre Classic champion Ryen Frazier to win at the line in U.S. No. 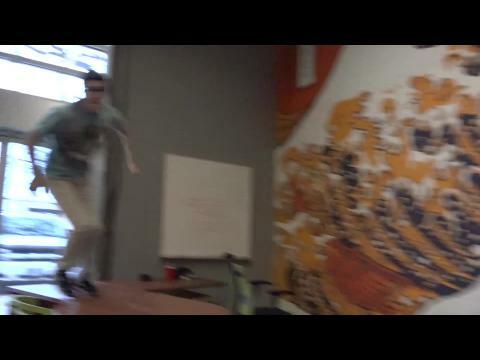 1 4:37.91. 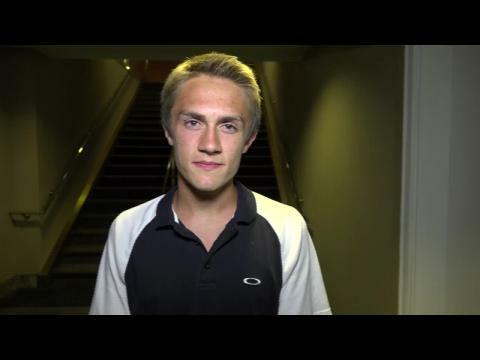 The Billings, Montana junior talks about learning from the Prefontaine Classic and getting another crack at the field in the Dream Mile. She ranks US #5 All-Time in the 1500m with a personal best of 4:16, which equates to about 4:36 for the full mile. Aragon has not yet broken 4:40 for a mile, but she is ready to do it in a stacked field. Olympian Matt Centrowitz of the Nike Oregon Project gives us his picks for the Girls and Boys Dream Miles. One year after finishing third at the adidas Dream Mile, the Desert Vista, Az. senior is ready to win. She's already broken 4:40 for the mile and has shifted her focus to the positive in her senior year. "This year I've learned that I like to run for those for who have been there for me every step of the way." 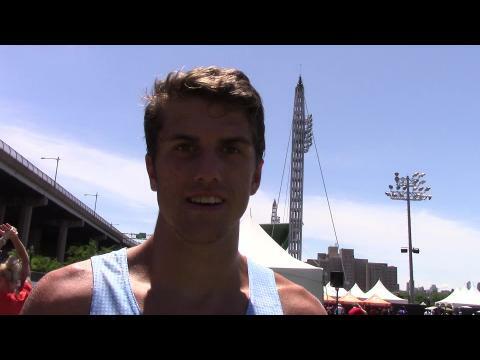 The defending champion talks about his expectations for the race after breaking four minutes in the mile last week. Fisher and fellow 2015 senior Matthew Maton are tied for U.S. No. 3 All-Time in the mile with an identical 3:59.38. 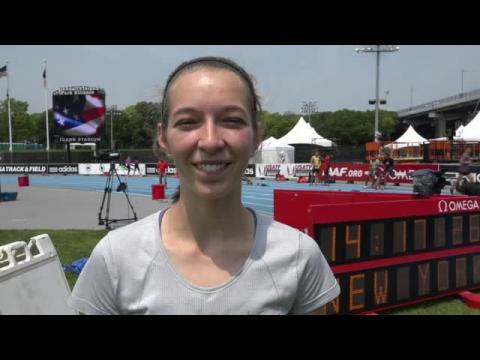 High quality version of the adidas Boys Dream mile race won by Christina Aragon in US #8 all-time 4:37.91. Footage courtesy of NBC/USATF. Grant Fisher looks to join Lukas Verzbicas as the only two repeat Dream race champions, while also follow in the footsteps of Alan Webb & Jim Ryun as the only two high school milers to dip under 4 minutes twice. Destiny Collins and Joe Klecker have been invited and accepted to be the 14th spots in adidas Dream Mile fields for both boys and girls next weekend at Icahn Stadium in New York City! Patriot (VA) sophomore Rachel McArthur is livin' the adidas Dream. She earned a spot in the adidas Dream mile winning the Golden South Classic in late May with a 4:48 win in Orlando. 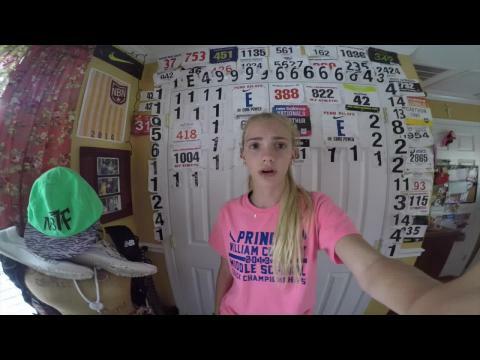 The 2-time state champion and cross country All-American is documenting her journey with a GoPro to the Dream Mile. We start by following her at the Virginia 6A State Meet this past weekend, which race highlights for McArthur included a 2:10 4x800 anchor leg split and a 10:19 3200 PR state title victory over indoor national runner-up tKate Murphy. 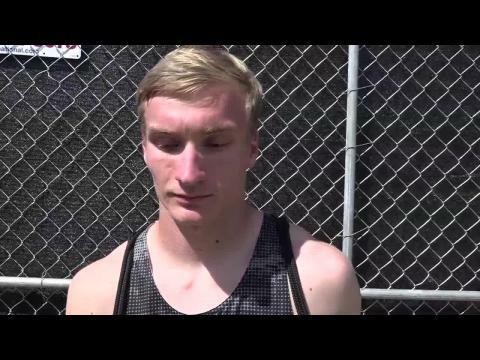 The La Salle, R.I. junior talks about focusing on the mile one week after his team's historic first outdoor state team title since 1978. MileSplit had an exclusive ride in the adidas Dream limo. 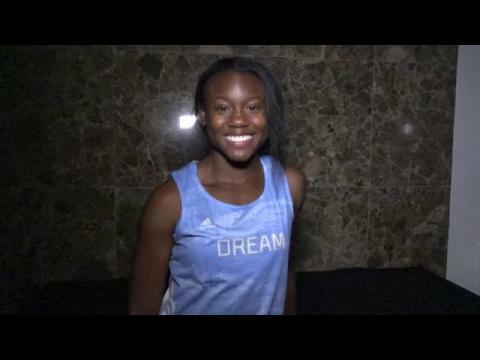 Hear what the winners of the Adidas Dream mile and Dream 100 talked about on their bus ride back from the track! 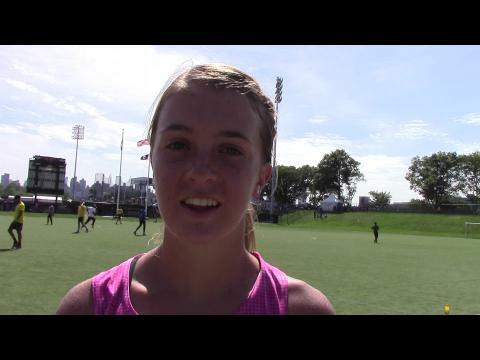 Episode 2 of Livin' the adidas Dream: Rachel McArthur as the 4:46 sophomore miler from Virginia Go Pro documented her weekend in New York City while competing in the adidas Dream Mile with the nation's best distance runners. Cameo appearances by Drew Hunter, Ryen Frazier, Anna Rohrer, Destiny Collins, and Malia Ellington. 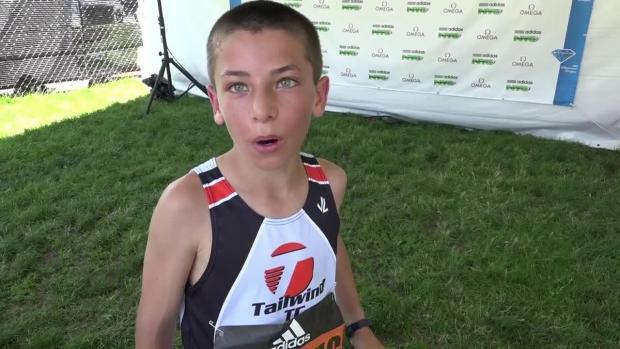 Due to a severe cold and sickness, Austin Tamagno unfortunately dropped out the adidas Dream boys mile two laps into the race. While disappointed not being able to finish his race and the timing of the illness, Tamagno is looking to bounce back soon. Teahna Daniels has raced 11.15w this year. Is she ready to do it again on Saturday? Rachel McArthur is Livin' The adidas Dream. She earned a spot in the adidas Dream mile winning the Golden South Classic in late May and she is documenting her journey to the Dream mile with a GoPro in hand. 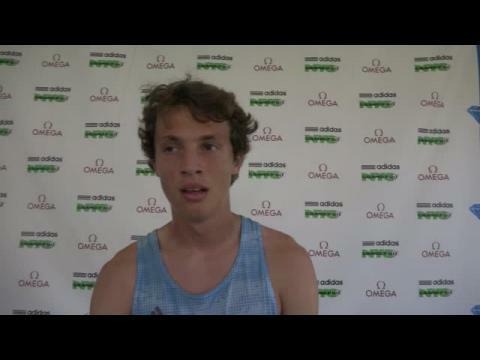 The Prefontaine Classic high school boys mile champion talks about his breakout national race and 4:05 personal record. The adidas Grand Prix marks the Rio Rico, Arizona junior's first-ever trip to New York City. University of Texas signee Teahna Daniels is the top returner in the Dream 100 field after finishing runner-up in 2014. Daniels is putting in the preparation needed to win it all and says "nobody wants it more." 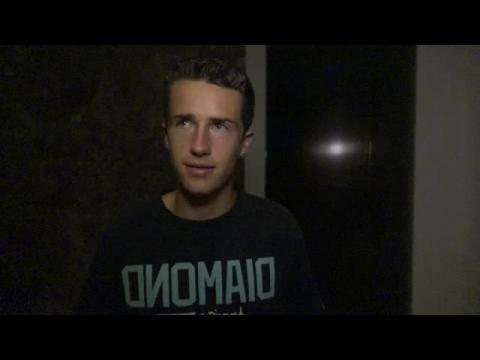 Tamagno enters the Dream Mile one week after winning the California state 1600m title. 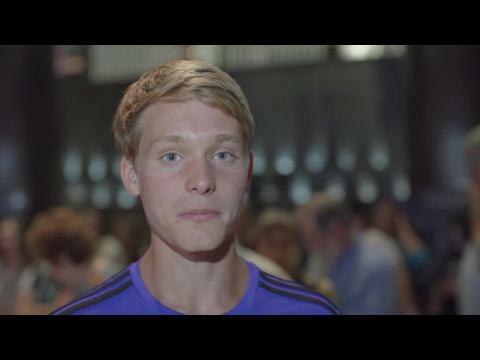 Athletes' dreams came true at the adidas Dream Mile and Dream 100 in New York City. 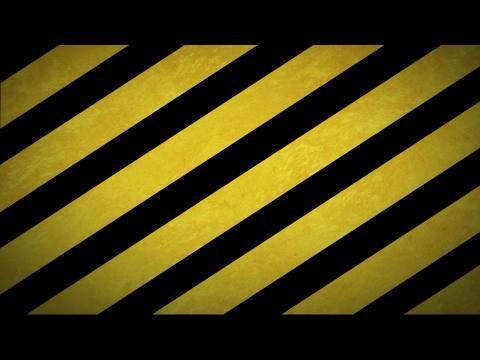 Relive the hype! The South Carolina state record holder for 200m talks about stepping up to tough out-of-state competition. 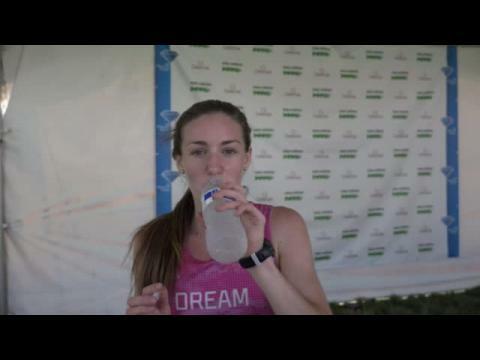 Watch Episode 2 of Livin' the adidas Dream: Rachel McArthur as the 4:46 sophomore miler from Virginia Go Pro documented her weekend last month in New York City while competing in the adidas Dream Mile. 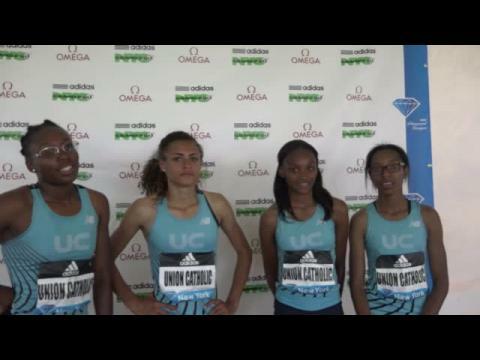 The Union Catholic quartet, highlighted by sophomore anchor Sydney McLaughlin, was just aiming to break 3:40 after a 3:44 win at the New Jersey Meet of Champions. Instead, they walked away as state record holders with a 3:38.87 clocking ahead of Jamaicans Vere Tech (3:44). 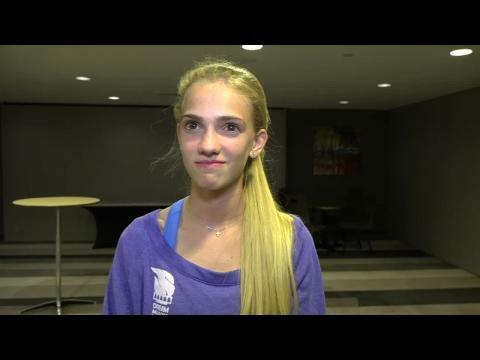 The California state 1600m champion talks about her big year and how she feels like she can finally compete on a national level. 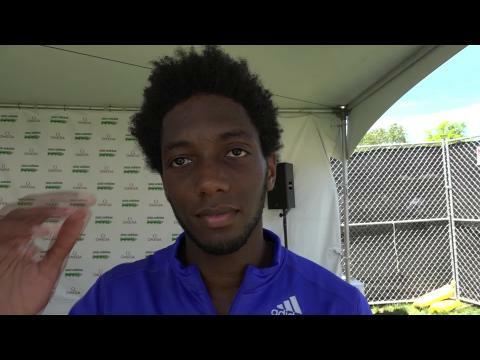 Third one year ago, Jones returns to the Dream Mile after finishing a close runner-up at the Prefontaine Classic. Loudoun Valley (VA) junior Drew Hunter found himself with Grant Fisher with 200 to leg, but had to settle with a new PR runner-up time of 4:02.36. One fastest times ever run by a high school junior. After a very easy state meet weekend in Harrisonburg, Drew is in the big city for his second chance to take down Grant Fisher. After her state meet performance this weekend is going to be easy and fun. Ryen Frazier of Ravenscroft, NC led for much of the race but was edged for the win. 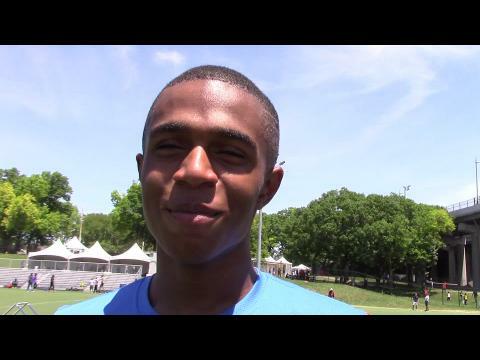 The NC State-bound senior is still happy with a 4:38.59 PR and looks ahead to New Balance Nationals. 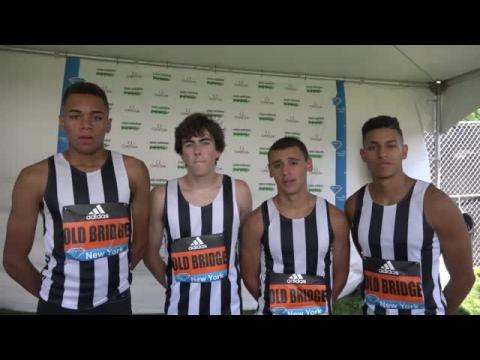 Old Bridge High School won the adidas Grand Prix 4x800m in 7:44, just off their 7:42 to win the New Jersey Meet of Champions last week. 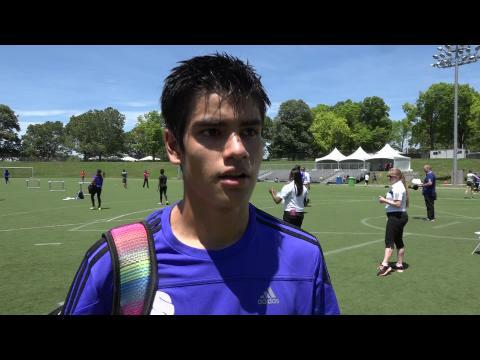 Sophomore Rey Rivera, who won the individual NJ MOC 800m title last week in 1:50, ran lead-off leg. Mikey Brannigan drops another big mile PR in another big-time race with his third place finishing time of 4:03.18. Michael Norman proves he can race more than the 200m and 400m in winning the adidas Dream 100 in a new PR of 10.36. The Vista Murrieta, CA junior raced the distance for the first time in a year and a half. 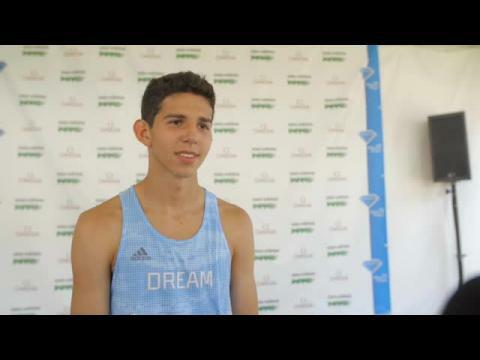 Listen to Grant Fisher talk about his experience as a two-time Dream Mile champion, and what races like the Dream Mile and Dream 100 mean for the sport! Avery Bartlett earned an automatic qualifier to the Dream Mile after winning Golden South. The Georgia Tech signee plans to play "Dream Killer" and dash the hopes of the favorites in the field. 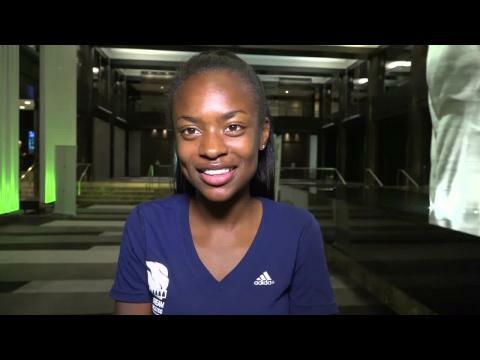 The Houston Lamar sophomore talks about her breakout spring, that included sweeping the 1600m and 3200m at the Texas state meet. Heymach also set the Texas all-time state record in the 1600m at 4:40. 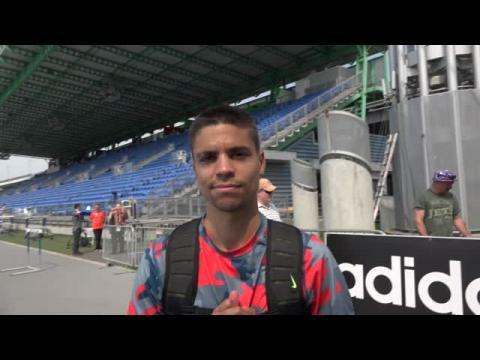 We talked with Grant Fisher about what it feels like to be two time Adidas Dream Mile Champ! 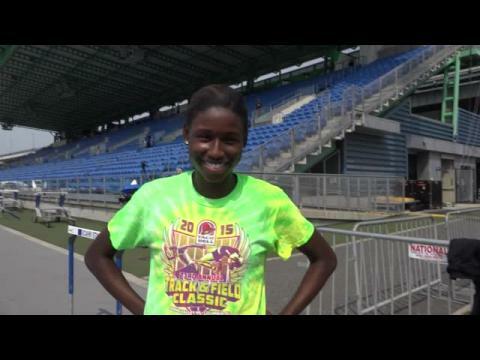 The Golden South Classic 100m champion talks about training with mentor Ato Boldon and her recent win at the Trinidad and Tobago Youth Trials. She will represent the island country at the IAAF World Youth Championships this summer. 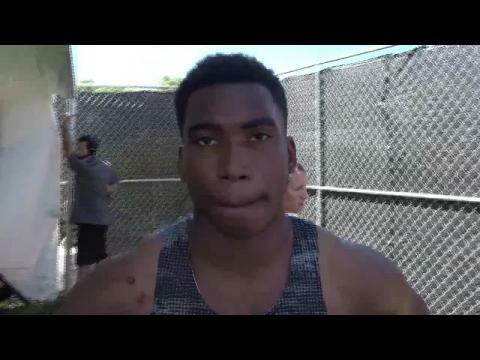 The California state champion for 200m and 400m is ranked U.S. No. 6 all-time in both events. But how will he fare at 100m? 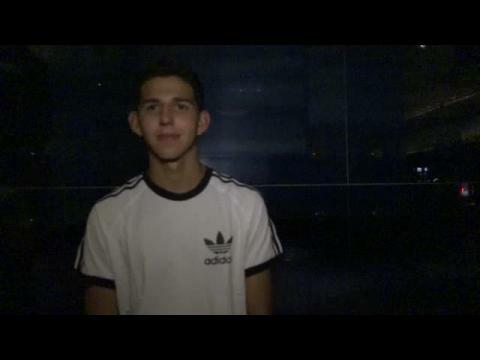 The Vista Murrieta junior talks about his chances. 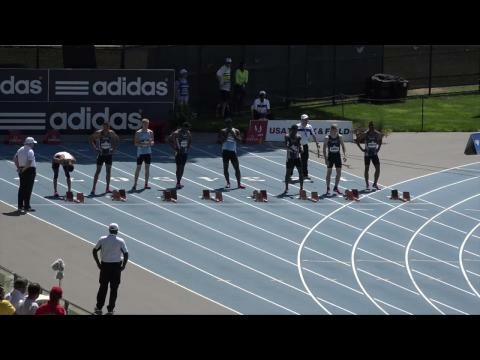 Watch Christina Aragon and Grant Fisher both win the 2015 adidas Dream mile titles thanks to having the best kicks in the final 200 meters of the elite and star-studded fields in New York. 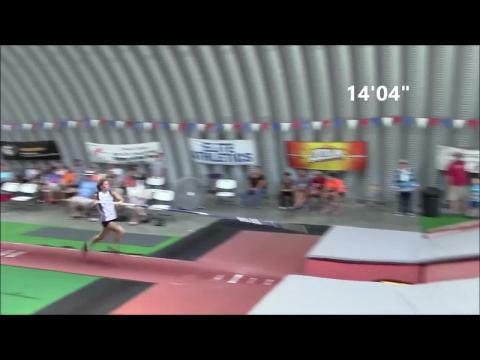 High quality version of the adidas Girls Dream 100 race won by Michael Norman in 10.36. 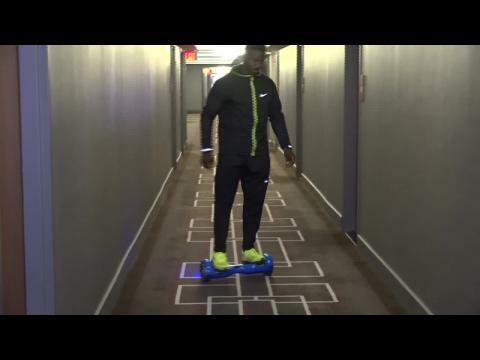 Footage courtesy of NBC/USATF. Logan Wetzel of Saline, MI was happy with a PR of 4:04.6 and fifth-place finish despite tripping on the rail at the bell lap. 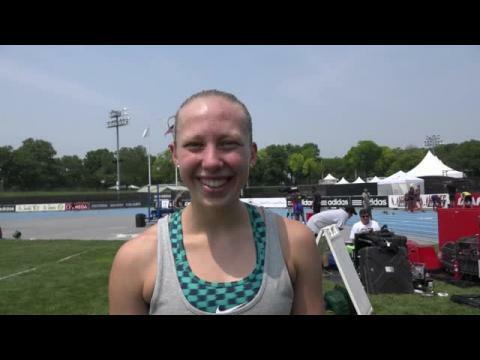 3x national 5k champion Anna Rohrer talks about competing for 11th place, 4:54 in the Dream Mile. The distance specialist is excited to compete in the Brooks PR 2 Mile next weekend. 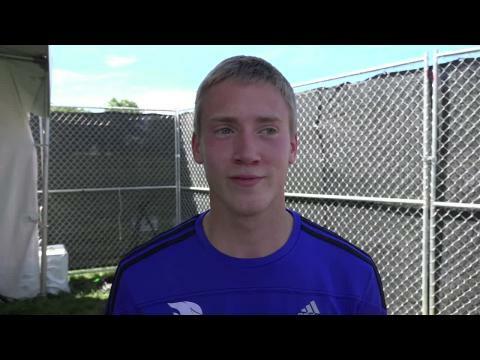 Olin Hacker enters the Dream Mile after sweeping the Wisconsin State Championship 1600m and 3200m last weekend. Sophomore Candace Hill proves she is the best with 11.21 victory, just missing the U.S. Top 10 All-Time List. 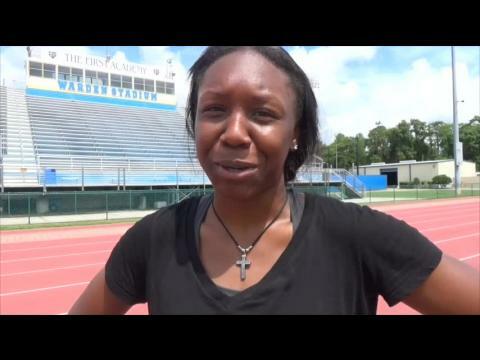 The UNC-Chapel Hill commit talks about leaving it all on the track in her final high school mile race. 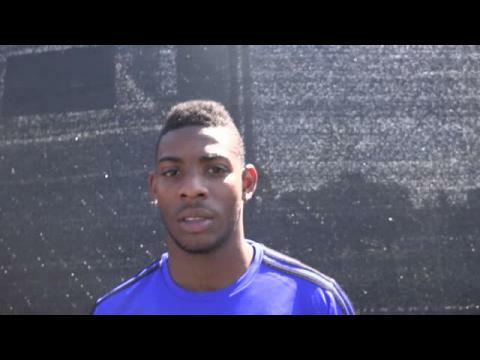 South Carolina Tavien Feaster ran 10.45 for runner-up honors at the adidas Dream 100. He's only a junior and he already says he'll be back next year! Katie Rainsberger begins her final lap, one which would see her climb four notches to an eventual fourth-place finish. Photo by Steven Pisano. Dani Jones, who took runner-up honors at the Prefontaine Classic two weeks ago, talks about placing sixth in 4:41 at adidas. 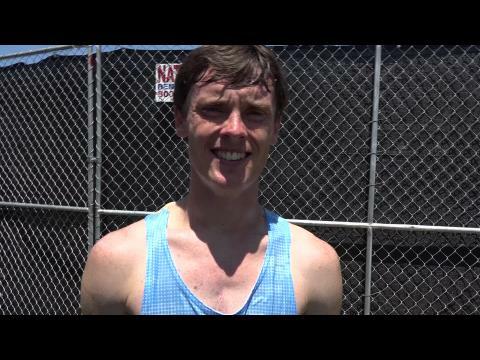 The Colorado-bound senior looks ahead to the Brooks PR 2 Mile. Khalifa St. Fort placed third in the Girls Dream 100 with a time of 11.62. 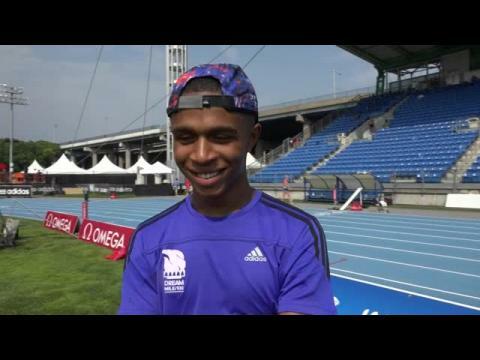 The junior talks about training with Ato Boldon and preparing for the IAAF World Youth Championships this summer. 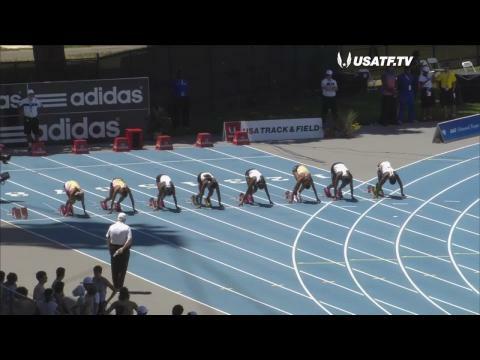 High quality version of the adidas Girls Dream 100 race won by Candace Hill in US #1 11.21. 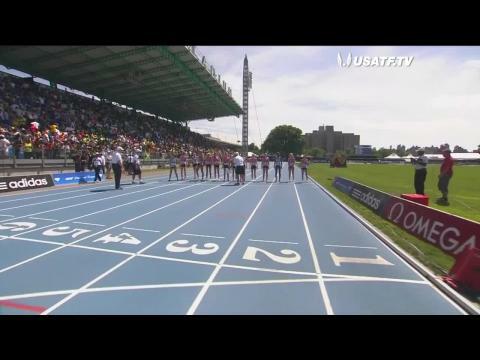 Footage courtesy of NBC/USATF. 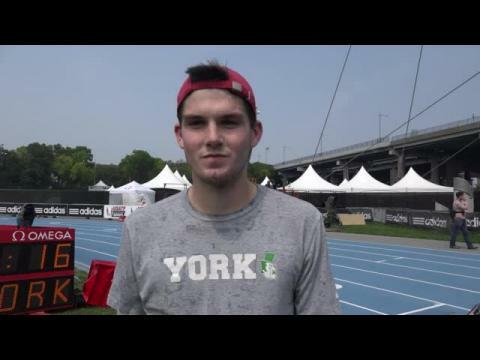 The USATF Jr. Men's XC Champion talks about making a return trip to New York. The Colorado state champion talks about finding her stride after struggling with an iron deficiency and anemia this spring. Minnesota state champ Joe Klecker proves his late invitation to the field was well deserved grabbing 4th place in a time of 4:04.13. 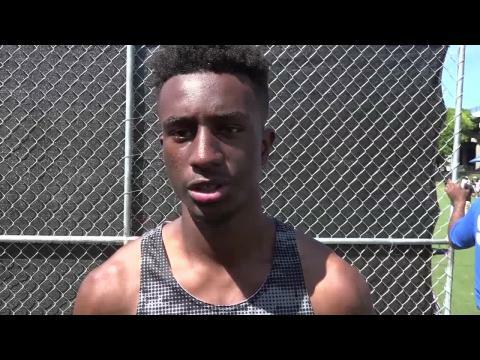 The California state champion ran to all-time list marks in the 200m and 400m last weekend. But is he ready to take on the nation's best at 100m? 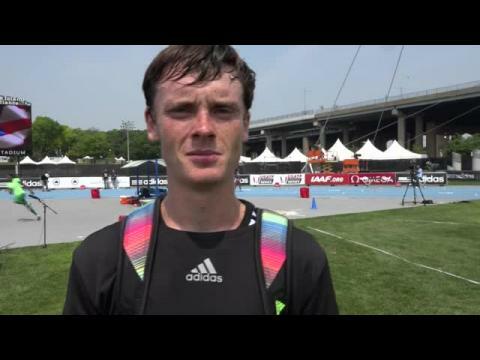 La Salle junior, owner of a 4:06.75 best, is looking to PR at Saturday's meet in New York. 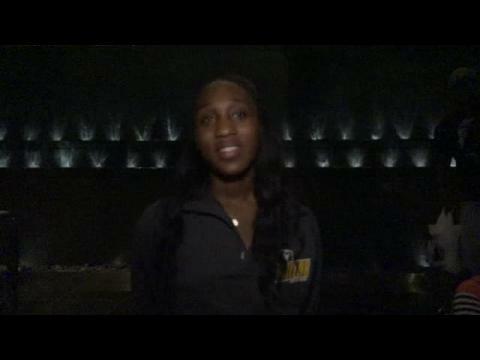 The defending national champion and US #1 for 100m and 200m talks about the showdown between herself and fellow 11.15 100m runner Teahna Daniels. 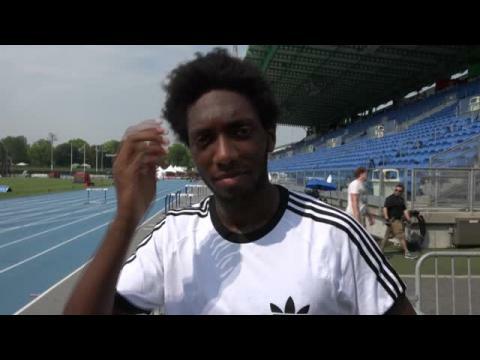 Junior Khalifa St. Fort is fresh off a victory in the 100m at Trinidad & Tobago Junior Championships and is currently gearing up for the Adidas Grand Prix Dream 100 in New York City. 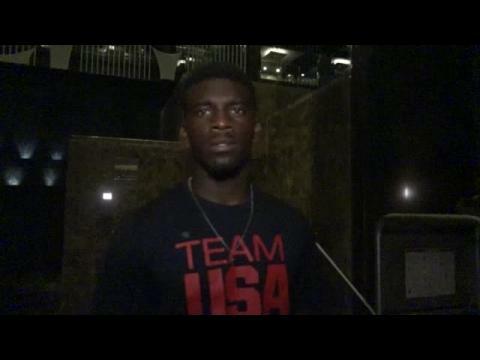 Tavien Feaster talks with MileSplit before competing in the 100 in New York. Comments from coach Glover Smiley inside. The Eureka, Missouri senior is ranked US #1 in the 800m with her 2:04 and she has also raced a solo 4:40 to win her state meet this year. She is ready for a sub-4:40 run! Just a sophomore, Halle Hazzard had to make the tough choice between the adidas Dream 100 and the New York State Championship. She said she wanted all in on the adidas experience. Carlos won the Prefontaine Mile, find out the details behind how the Grand Prix Classic went for him. 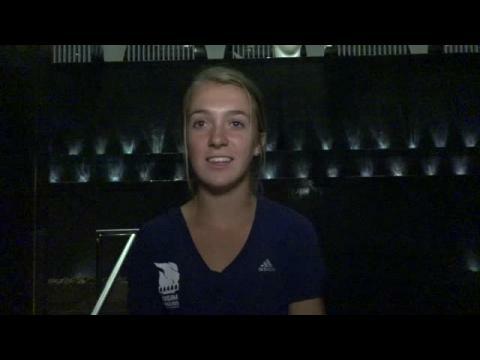 The multi-event star, a Duke recruit, talks about making her first trip to the adidas Grand Prix. 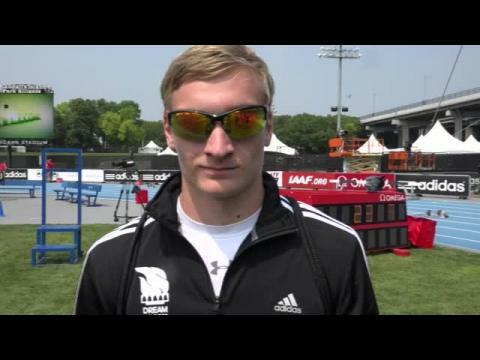 Four Floridians headed to New York City for the 2015 Adidas Grand Prix. See how the Sunshine State fared in the Dream 100 and Dream Mile. 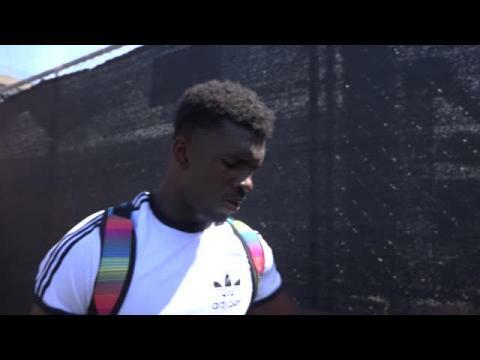 Tavien Feaster ran 10.45 to finish second at the adidas Dream 100. 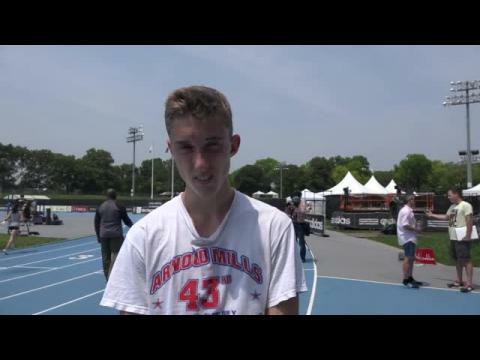 The Wisconsin state champion was hoping to compete better, but can't be upset with a consistent 4:09 time in his first national level mile race in a year. He is looking forward to racing the Two Mile next week at Brooks PR. 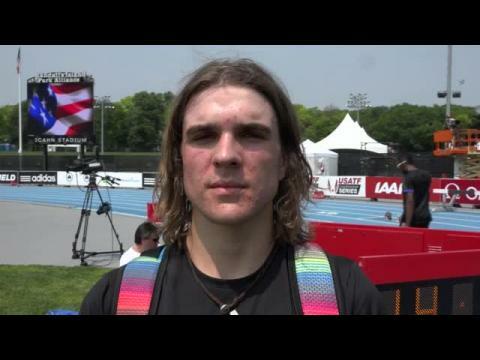 Myles Marshall after doing his job pacing the field through the first two laps of the adidas Dream mile. The Nevada state champion planned to attend the adidas Grand Prix as a spectator for his graduation present. Instead, he is practicing and racing alongside the pros. Katie Rainsberger runs her best race of the season with a new mile of 4:40.92 for 4th place in the adidas Dream Mile. Bennett was invited to the adidas Dream 100 two days after winning the Texas 6A State 100m title. 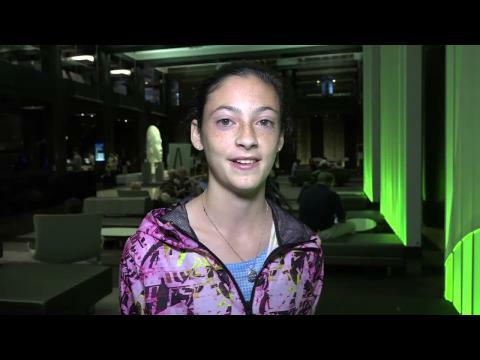 She talks about her reaction to the invite and her hopes for her final high school race. The Harvard recruit is confident for the Dream Mile after breaking 2:10 in the 800m for the first time last weekend. 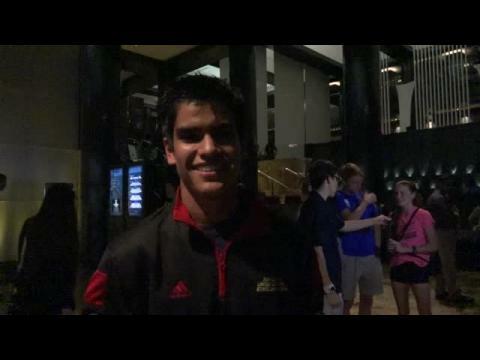 The Raleigh Relays mile champion talks about how he has looked forward to this meet since last year. The Southview, NC senior will run for NC State next year. The Florida state champ Avery Bartlett finished 6th in the adidas Dream mile with a PR time of 4:08.01. Anton Porter of New York places fourth in 10.58. 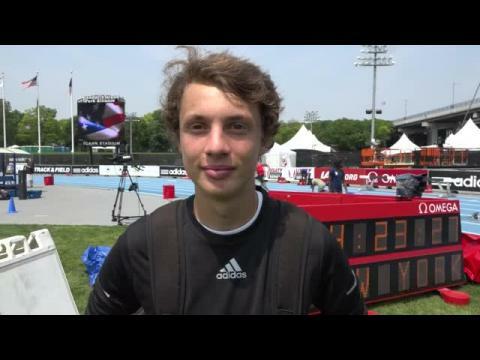 North Carolina state champ Philip Hall places 7th in the adidas boys dream mile with a new PR of 4:08.80. 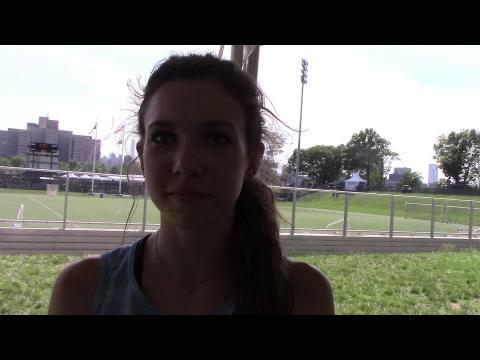 Malia Ellington talks about running a season-best 4:54 to place 10th at the Dream Mile. The Harvard-bound senior got autographs from a lot of stars, including Usain Bolt! 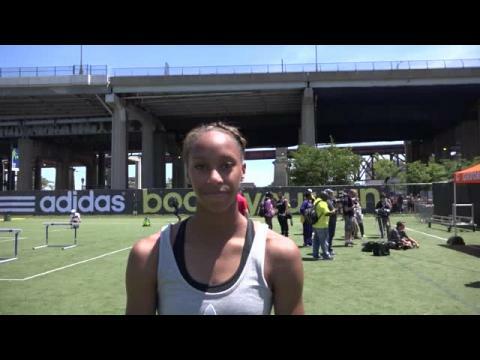 Shayna Yon made her second trip the adidas Dream 100, where she finished sixth this year in 11.97. The time was not quite what she wanted, but the LSU-bound senior will use it to get ready for NBNO and USATF Juniors. Ryen Frazier loves talking to media before big races! 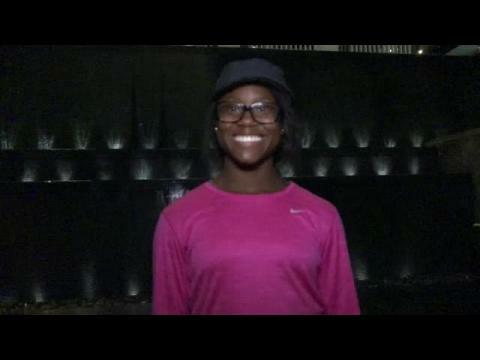 Check out what she had to see in preparation to her race in the adidas Dream Mile on Saturday in New York! Remind you of a certain NFL running back? 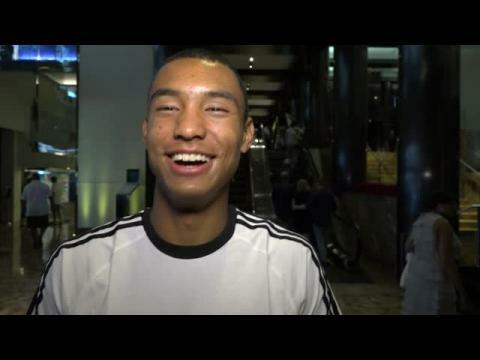 The indoor national 2 mile champion Drew Hunter admits nerves in competing with the sub 4 miler, but the big draw for the rest of the adidas Dream milers is the opportunity to race against the best in Grant Fisher. At the adidas Dream Mile, Texas 1600m state record holder Julia Heymach (4:40.97 PR) has a great opportunity to chase after Mary Cain's 4:39.28 national sophomore class record in the mile and she knows it. Most adidas Dream kids will take any new PR time, but Khalifa St. Fort, a junior from Florida trained by Olympic medalist Ato Boldon, has a very specific time goal for adidas Dream 100... 11.27! Hear why! 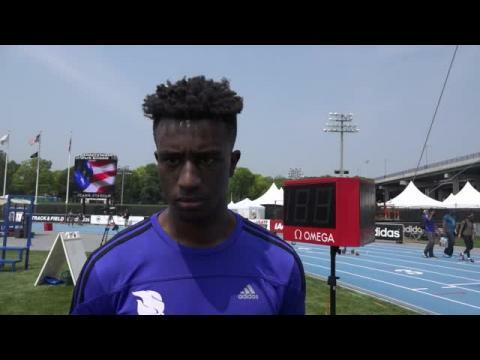 MileSplit is on-site checking in with many of the adidas Dream high school athletes on their thoughts before they take the big stage at Icahn Stadium in New York City on Saturday. 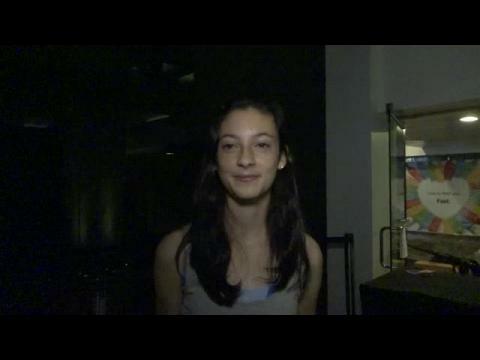 More interviews being uploaded tonight! Post-race interview with Grant Fisher after becoming only the second to repeat as adidas Dream Mile champion in a time of 4:01.74. 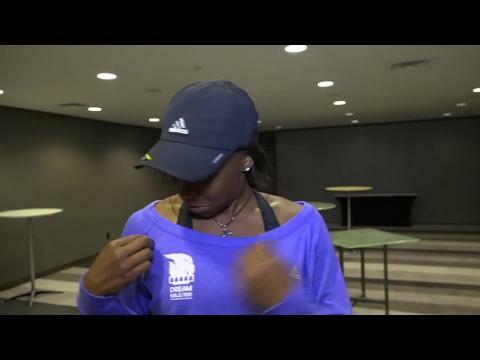 After running a 11.21 100 to win the adidas Dream girls 100 into a -1.5 headwind, the question begins...could Candace Hill go sub 11 seconds before she graduates high school? Post-race interview with Hill. 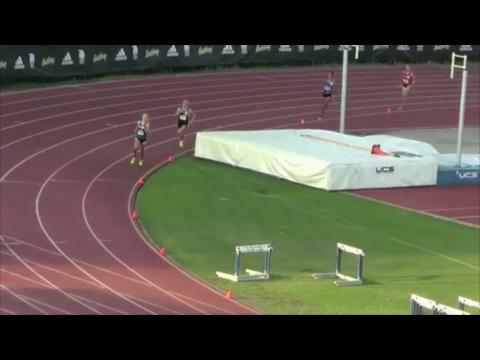 Watch Grant Fisher win his second consecutive adidas Dream Mile after splits of 61, 2:03, 3:05 for the first 3 laps before pulling away from challengers Drew Hunter (4:02) and Mikey Brannigan (4:03) in 4:01 win. 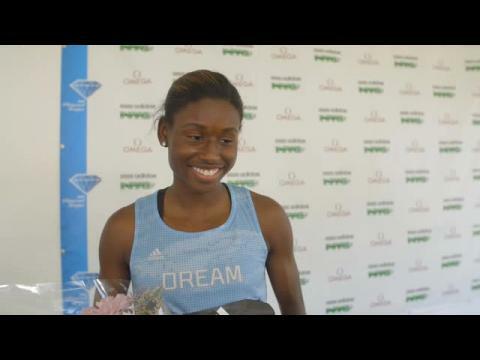 Watch Candace Hill, the sophomore from Georgia, win the 2015 adidas Dream girls 100 race blowing away from the stout field with a wind legal US #1 11.21 clocking as she broke a stiff headwind in her victory. 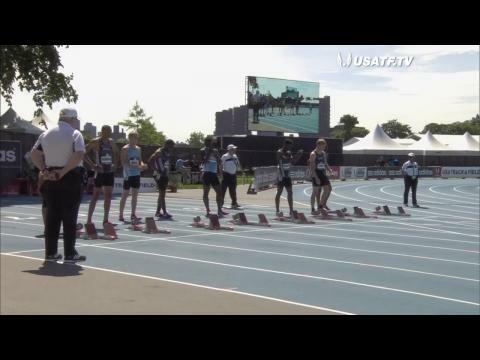 Watch the race video of the adidas Dream girls race, which Christina Aragon, a junior from Montana is able to pull away from Prefontaine Classic mile winner Ryen Frazier for a 4:37.91 win. 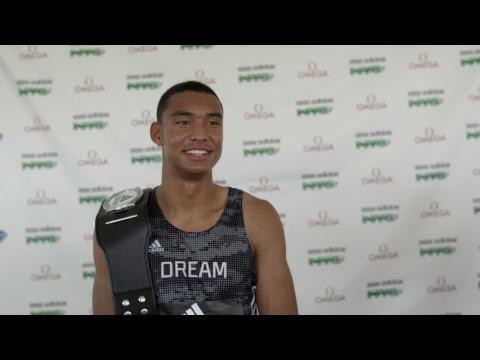 Watch 400 and 200 meter national leader Michael Norman, a junior from California, showcase his incredible range in winning the adidas Dream 100 in a new PR of 10.36 for his first 100 meter race of 2015!